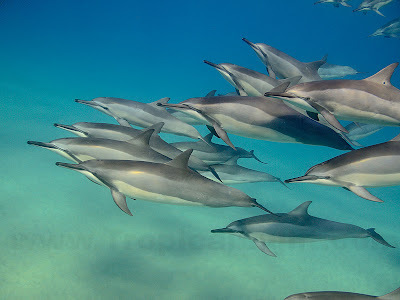 A group of more than 80 Spinner Dolphins kept following me around on my ocean swim this morning. I wasn't getting my workout done because they were too distracting. 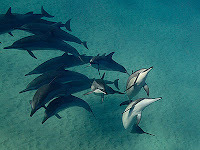 Each time I would try to swim away, they would zoom over and surround me again. But that's okay. I've missed them and I guess they've missed me. OMG! Don the water is amazing ... these pictures a just magnificent!! Please tell them i said hello! Thanks Leilani. Yes, I will be sure to let them know that you are waiting for them over on Oahu and that they should hurry right over. LOL DON! Thank you! I havent seen them since Sept 2010! 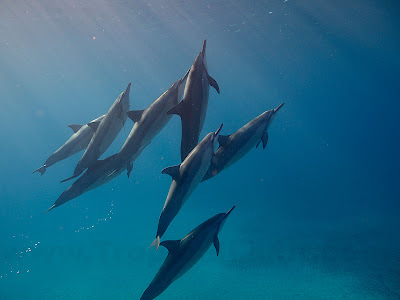 I could really use a swim with them right now..... I need the ocean. How wonderful they were all there awaiting your presence. those pictures are amazing!!! where was it?